AIDS | Namaste. . . According to Wikipedia (the source of all sources, ha ha ha) a guru (Sanskrit: गुरु) is one who is regarded as having great knowledge, wisdom, and authority in a certain area, and who uses it to guide others (teacher). Other forms of manifestation of this principle can include parents, school teachers, non-human objects (books) and even one’s own intellectual discipline, if the aforementioned are in a guidance role. I’ve had so many dying and grieving gurus in my life and each one has taught me something different. But today, I am thinking about two in particular. . .
Parents: As I stated on my about page, my parents were such incredible role models for me while I was growing up. They took care of a woman who was not related to us but who was a surrogate grandmother to my brother and me. I have fond memories of walking upstairs and smelling coffee on the stove and going into grandma’s room while mom fed her farina. Her own kids didn’t come and care for her as she lay dying of cancer but she was “family” to us and well, that’s what you do for family. Both of my parents gave her great care and it was awesome that they did not shield us from illness, old age, and dying. We weren’t allowed at funerals. . . we were expected to be at funerals because we loved the person who died. As a little girl, I got to help mom cook meals that would be served after a funeral or when my grandfather died, I got to help decide about flowers. As a matter of fact, for a few years, we lived in an apt over a funeral home where I had family waked. It wasn’t bizarre or unnatural, unless my dad teased my friends about the coffin show room. I was given the opportunity, because of living over the funeral home to drive to La Guardia and help my dad pick up a body. He wasn’t an undertaker, it was just a favor to help out. I get a bit frustrated when I hear families talking about protecting their kids from dying and I am often reminded of the story of the Buddha and how his dad tried to shelter from him. Those of us that know the story know that didn’t really work out for them too well. If you have the delusion that after you are 18 yrs old, your parents have nothing else to teach you, you are mistaken. My parents did all of my brother’s caregiving while he was living with AIDS. Dad got up at 4 am to take my brother’s nourishment out of the refrigerator. It was pumped through his veins via a central port so it had to be warmed up over several hours. 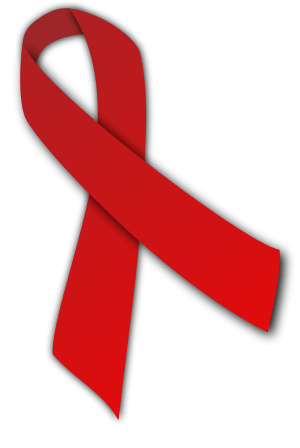 Dad also read up on all the research out there, all the organizations, and even became a trainer for the Red Cross on HIV prevention. Mom got a job close to home so if my brother needed her she could get to him quickly. Washing bedding, taking him for trips to the store at a whim, helping him find his urn, staying up late into the night talking to him, and being a loving mom even when he was afraid of dying and lashing out at her. It’s been 17 yrs since my brother was alive. My parents are older, we live in different places, but my parents continue to be teachers to me and great role models for being there for others. I constantly joke that my dad is 73 and I am proud of him because he can get around on the computer and carries a Blackberry. Not bad at emailing, texting, and keeping a calendar for him and mom. He surprised me last week and reminded me how blessed I have been to be so close to him and mom all these years. He called a hospice and signed up to volunteer. Yes, at 73 yrs old, he is still giving back and wanting to give comfort to others. I loved watching him on Skype the other night (yes, they Skype too) and him telling tales about this hospice and the care they give. He was excited to tell me about the rooms, the staff, the fact that a patient can wake up at 3am and someone will make them a milkshake or they will cook a special meal that family brings in. He loved the quilt panels hanging around their office. I took great joy in knowing that he was going to be out there listening to others. It felt like things were coming full circle, from when I was growing up, to my own career in end-of-life work, to my dad starting as a volunteer. We tend to think we need to go to far off places to find teachings, wisdom, or learn about compassion and often overlook the very wise teachers that we have in our every day lives. Tonight, take some time meditating on the people who have shared lessons with you and send them some light and compassion. If you have lost someone, take time to honor the things that person taught you while they were alive. If you are living with someone’s dying, ask yourself, what are they teaching me about living their dying. Ask yourself if that’s the way you want to live through your dying process. What things would you change for yourself and what things might you do in a similar way. Celebrate even the strangers who teach you something like smiling for no reason or saying thank you when you hold the door for them. And if it is appropriate, let that person know how they have changed your life by teaching you invaluable lessons. There are no easy answers when it comes to the big questions in life. . . how do I want to live my dying? do I want to treat this disease the doctors have diagnosed and if so, what am I willing to live with and what do I refuse without any doubt? what rights do I have? what do laws does the state have that control my decisions? how much should i let my family help me make decisions? will I know when I have lived long enough and will people listen to me when I say that? These questions go beyond legal, ethical, and theological. They go right to truly existential and depending on your thinking, transpersonal heart of our being-in-the-world. The link below has several short films designed to make you think, get you to talk about end-of-life issues and I think it is a brilliant project. Tonight, I watched Short Film #7 — Torture in Health. I think about this topic often given my background as a therapist for an AIDS organization and for hospice. The medical field, in general, does not appreciate all that palliative services can offer. And I don’t just mean at the end-of-life, but in terms of pain control or comfort care as it is called. You still have doctors in hospitals saying that they can’t give increased levels of morphine because a dying person might become “addicted” and families get confused. So, I post this tonight to ask you to mindfully reflect: what do you think of pain control for those who are medically ill, but most especially at the end of life? And is pain control or comfort care all about physical pain or should we medicate or “treat” (somehow) psycho-spiritual pain? Have you talked with family and friends about your ideas so that they might have an idea of what to happen in case of. . .
Would love to hear your thoughts and ideas. Please feel free to post. Honoring your journey… Honoring your light.